Our product range includes a wide range of wooden dustbin, vie dustbin, flower dustbin silver, coco dustbin and flower dustbin gold. Our organization is engaged in offering an all encompassing range of SS3 Dustbin Rack. 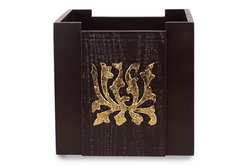 Offered dustbins are known for its elegant shape innovatively cut wooden embellishment adds charm to your decor. These dustbins can also alternatively use as a flower pot for your indoor artificial plants. Also, these dustbins are properly checked from our side for ensuring its defect free range to customers. Our company is a reckoned entity engaged in offering an optimum quality VIE Dustbin that can easily be mistaken for a pot of flowers. 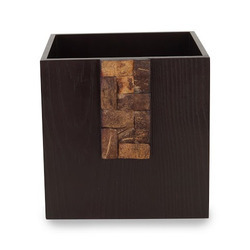 Our offered dustbin is made of MDF, but polished in a veneer look; it adds charm to an otherwise staple necessity. Our customers can avail these dustbins from us at reasonable prices. 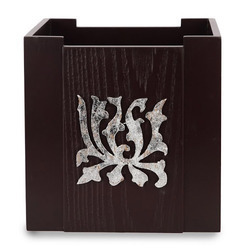 We are remarkable entity that is engaged in offering a premium quality Flower Dustbin Silver. 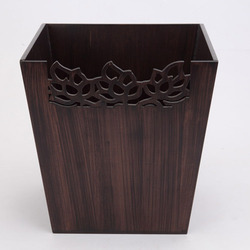 These flower dustbins are appreciated in the market for their elegant designs and excellent finish. The flower dustbins offered by us are beautifully designed from the top quality of material & latest technology by our experienced craftsmen. Our flower dustbins can also be custom-designed, as per the requirements of our customers. 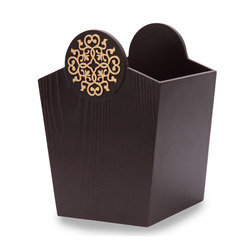 Looking for Stylish Dustbins ?